This is a comprehensive book for student learning the C++ program. It comprises of case studies that help give a better understanding of the subject. It includes an introduction to new topics regarding the program. 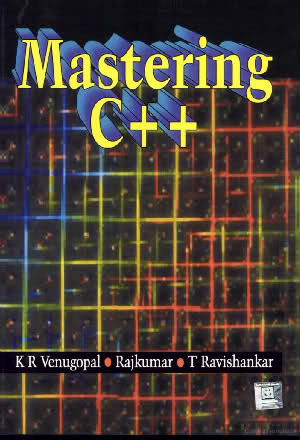 The book is essential for student who are intend on mastering the C++ language. K. R. Venugopal is the Principal at University Visvesvaraya College of Engineering, Bangalore University. Dr. Rajkumar Buyya is a Professor of Computer Science and Software Engineering and the director of Cloud Computing and Distributed Systems Laboratory at the University of Melbourne, Australia.